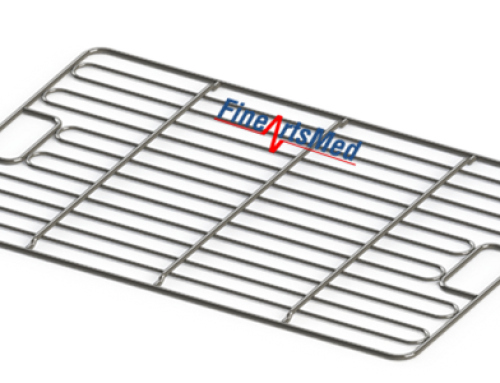 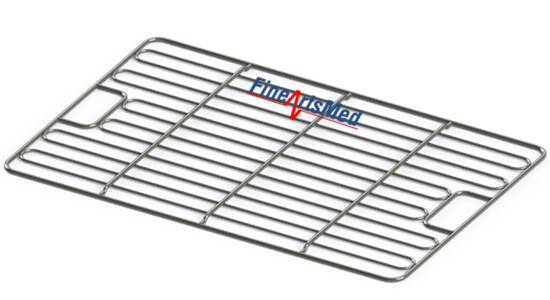 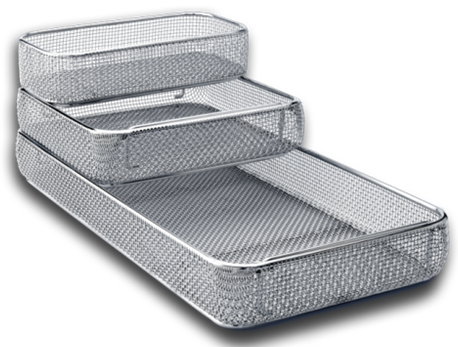 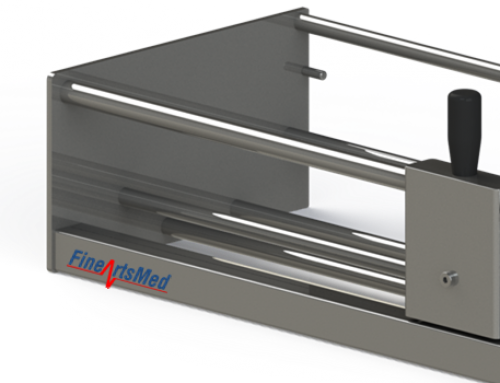 Modular instrument trays, designed for use with modular wire baskets through all phases of instrument processing: washing and disinfection, ultrasonic cleaning, inspectionand packing, sterilization, storage, distribution and usage. 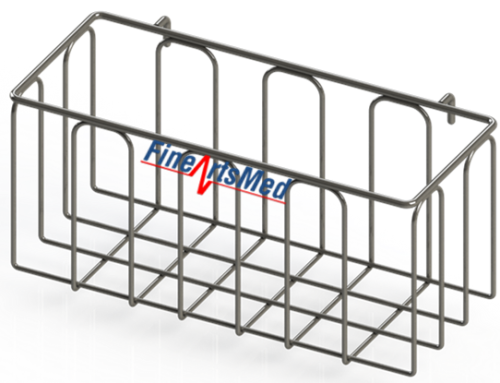 On the short sides of each tray are two inner-mounted drop handles measuring 130 x 40 mm. 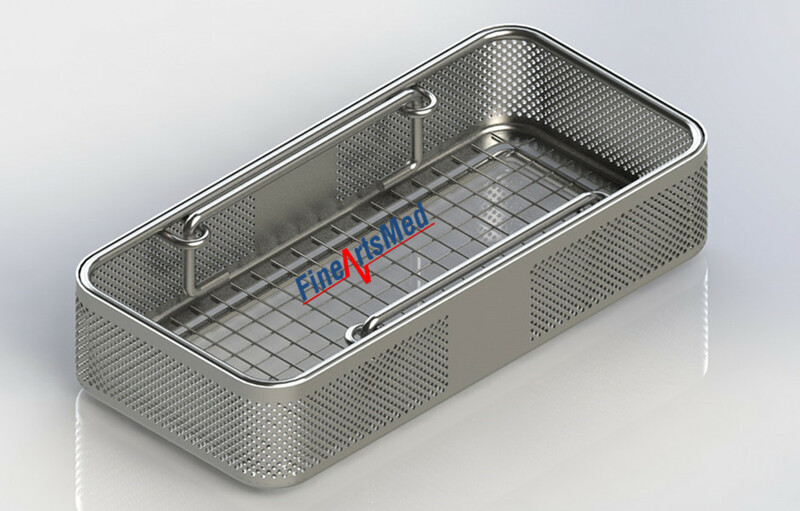 The trays are manufactured as sturdy, deep-molded immersion trays, designed to maintain their size and shape even if handled carelessly. 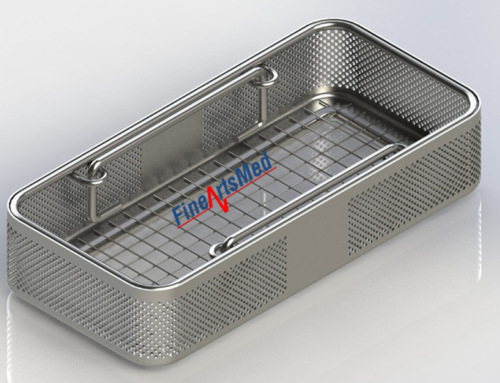 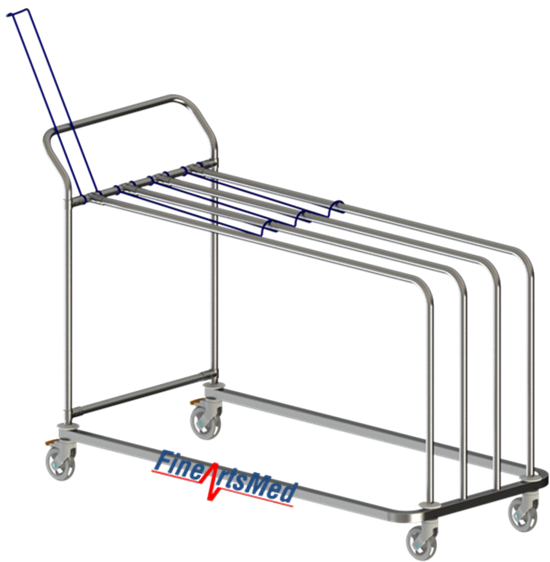 They are made of stainless steel wire net, with mesh size 4.5 mm and wire diameter 1 mm, for optimal cleaning results while preventing instruments from penetrating the sides of the tray. 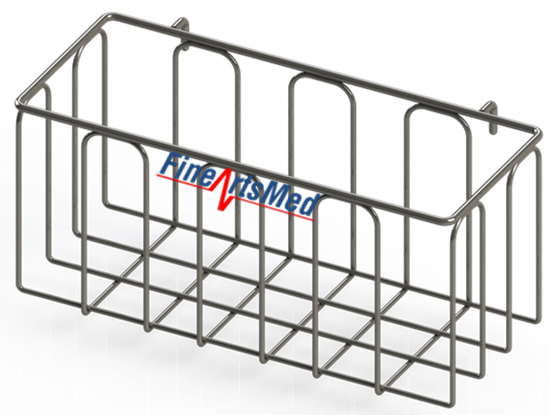 All cross-points in the network and vertical wires to top and bottom frames are point-welded. 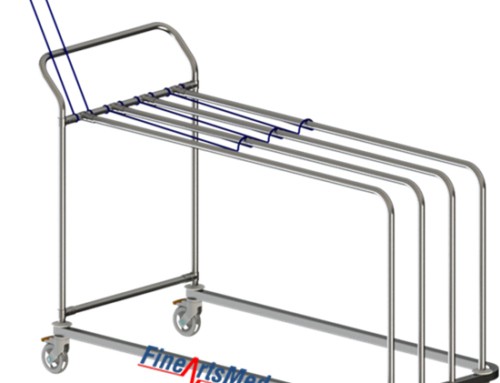 The bottom design (on the large model) includes a rigid, 6 mm diameter, stainless steel wire support.